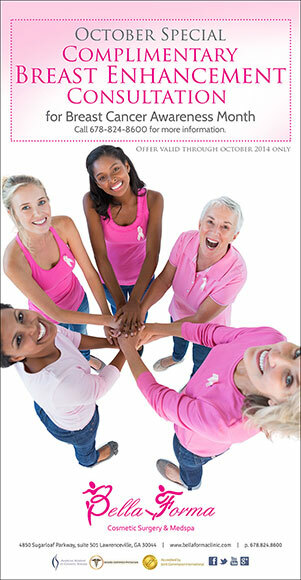 October Special Complimentary Breast Enhancement Consultation for Breast Cancer Awareness Month Call 678-824-8600 for more information. 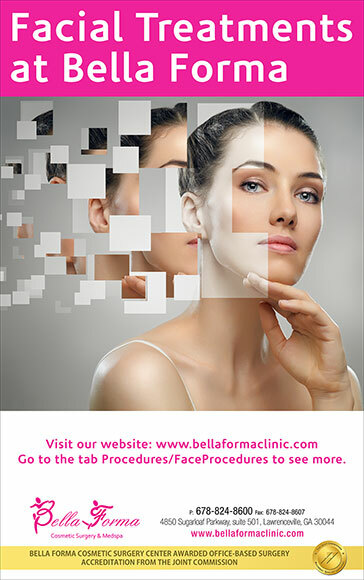 Visit our website: www.bellaformaclinic.com. 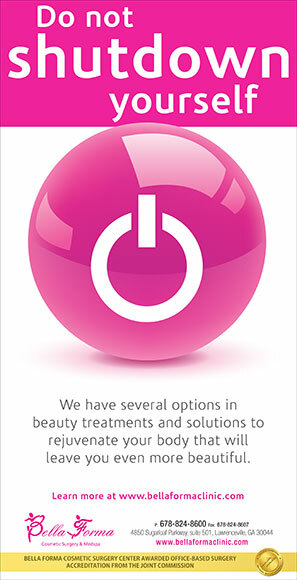 Go to the tab Procedures/FaceProcedures to see more. We have several options in beauty treatments and solutions to rejuvenate your body that will leave you even more beautiful. 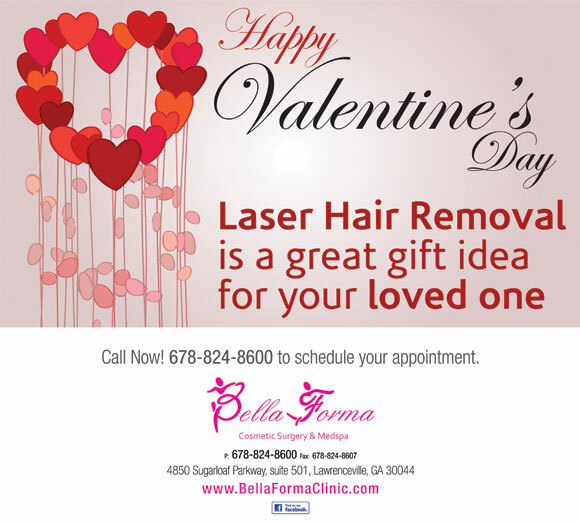 Laser Hair Removal is a great gift idea for your loved one.